We've updated our Misfit Shine 2 review based on the revised design and adjusted the score from 3.5 to 4 stars accordingly. With the benefit of hindsight the Misfit Shine nailed the fitness tracker market all the way back in 2012. While other companies have launched updates and sequels, the original Shine has been an ever-present, to the point where we didn't believe the company would bother to replace it. That's mostly because the original Shine is still great. It boasts freakishly accurate step tracking, automatic sleep detection, decent analysis, plays nicely with other apps and it looks great. Yes, Misfit is lacking a heart rate monitoring tracker (it revealed to us last week that it would release new devices at CES) but the Shine is still one of the best bands out there. 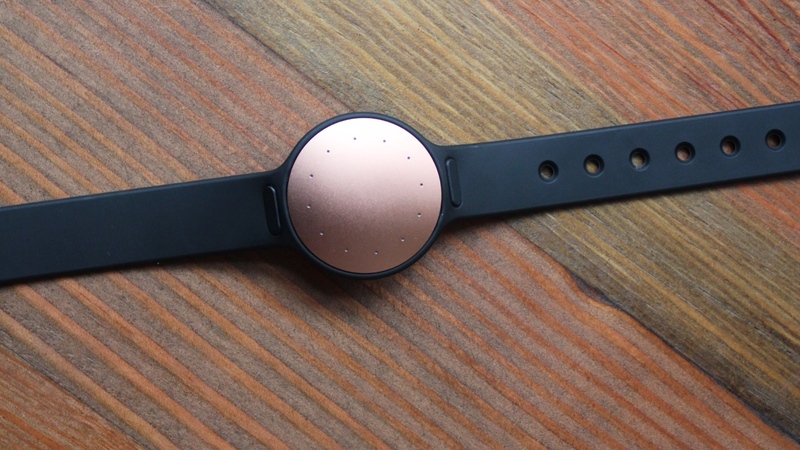 Enter the Misfit Shine 2. Misfit has tried (again) to secure the infamously loose strap and added notifications from a smartphone displayed via some coloured LEDs. But is the £79.99 Shine 2 worth investing in? We took the brand new device for a spin. At quick glance, the Shine 2 looks nearly identical to its predecessor. It is a small, metallic disc that is fitted into a silicon band. The most noticeable difference is that the Shine's face is slightly larger and marginally thinner. It's slightly more unisex looking than before as the previous edition could be a a little dainty, especially in a metallic finish. If you tap the device's face, you'll notice the first major change. The Shine 2 features coloured LED lights and a wider variety of light patterns to help you identify when you've received a phone call, text message, or simply a "get up and move" nudge. Probably the most interesting and important change in the second-generation Shine is the band. The company has created a special Action Clip (first designed for the Speedo Shine this year) for the back of the band designed to keep it more secure – well, that's the theory anyway. The Action Clip is a thin plastic strip that attaches to the backside of the Shine and threads through both sides of the band to anchor it in place. When we first reviewed the Misfit Shine 2 it was still extremely prone to falling out, especially when snagged. Our Shine popped out multiple times during testing, pinging off at an alarming speed. The first time was while boarding a train, and it came perilously close to rolling onto the tracks. It's really annoying as the ONE improvement that Misfit had to make was making this darn tracker stay put on the wrist, and actually it seems worse than before. However, Misfit has had a third attempt, and things are much better now. We've spent a couple of weeks with the new Action Clip, and pleased to report no problems. If you give it a real yank you can still separate the unit from the clip, but we experienced no unexpected de-couplings. And if you're reading this as an unhappy customer whose tracker is detaching all too often then there's good news: contact Misfit's customer services and they should be able to do you a solid. The Shine 2 also comes with a clasp, which can be attached to a shirt, belt, or shoe to capture the same metrics as the wrist, which offers more options for those that want their tracking to be a little more discreet. We switched from wrist to shoe when starting a workout. Snapping it into the clasp was pretty simple, however, getting it back into the wristband tended to require a bit of finagling. Even though the process takes a few extra steps, it's worth the effort considering the tracker works better when placed on the foot for cycling and other activities. Finally, like its predecessor the Shine is still waterproof to 50 metres, and it will track your distance in the pool, making it one of the few trackers really suited to the pool. The original Shine was one of the most accurate step and exercise trackers we've tested (that doesn't include GPS of course), and its ability to keep tabs on your distances was almost freakishly good. And we're glad to report that Shine 2 is no different. We took it out for a 1.87 mile run, tracked with GPS, and it was logged in the Misfit app as a 1.8 run. That may not sound impressive, but for a tracker that just monitors the swing of your arm it's almost miraculously accurate – and for those whose running extends to a jog around the park every other Sunday, it means you can still get some information about your sessions. You can then tag the exercise, and choose from a range of sports from swimming, cycling, basketball, soccer, tennis and running. Aside from steps, the Shine 2 will also track sleep and will detect you dozing off automatically. It works well with a decent representation of light and deep sleep on an easy-to-read graphs. As sleep tracking goes the meagre data is hard to beat, and you won't find better data over at Fitbit or Jawbone. The only issues were a couple of instances where an evening of couch lounging was registered as sleeping and the knock-on effect was that nightly averages surpassed nine hours some nights. Of course, there's no heart rate tech built-in unlike the Jawbone UP3 or Fitbit Charge HR so the activity metrics aren't nearly as detailed. For many this will be a bugbear – the Shine is no-where near as suited to gym workouts as its competition. A less obvious benefit of the Shine 2 is also the multiple positions it works on the body. You can opt to clip it to shoes, belts, shirts or the wrist, which makes it a better buy for mums, for example, frustrated by not getting credit for steps when pushing a buggy. Just reset the position with the app and use the supplied clip. Similar to the first-generation Shine, this model lets you know how far along in your goal you've reached. Tap the screen and a series of red lights will appear around the disc, which give you an idea of where you are in your activity goal. There are 12 LED indicators that light up around the ring depending on how far into your goal you are. The further in you get, the colour changes from red to orange. If you've passed 100% of your goal, the lights will blink around the ring once, then past the starting point to the current percentage you've achieved. For example, if you reach 150% of your activity goal, the ring will light up from the starting point and than past it to the halfway point again. You can always tell when you've gone past your goal because the colours change from orange to yellow to green. You can also set up the Shine 2 with Misfit Move, which gives you a nudge to get off your duff and move around. You can set the notifications manually in the companion app from every 20 minutes to every two hours. You can set the start and end time for Misfit Move for a specific time of the day. So, if you sit at a desk from 8:00 a.m. until 5:00 p.m., set your first nudge for 9:00 a.m. and end it at 4:00 p.m. The biggest software changes to the Shine are the smart notifications. In addition to letting you know when you've reached your activity goals, or poking you to get moving, the second-generation device lets you know when you've received a text message or phone call. When you get a phone call, the LED lights at top half of the device light up and blink green. When you receive a text message, they light up in blue. Strangely, there doesn't appear to be any documentation with the device that tells you what the notifications are for, so they can be a little bemusing at first. Once you understand what the lights mean (a bit of a process of elimination) it works okay. It's hardly going to trouble the Apple Watch for notifications but it's useful especially for ladies with phones tucked in their bags. You can also set a vibrating alarm on the Shine 2. From the companion app, select a time for the alarm to go off and each day at that time, you'll get a series of vibrations from the device. If you're a heavy sleeper, we don't recommend using the Shine 2's alarm feature. The vibrations are noticeable, but not exactly a jolt on your arm. We only noticed the alarm about half the time and usually after already being awake. The Misfit app, compatible with iOS and Android, is where all of your activity tracking information and goals are stored. With it, you can see more detailed information about how successful you were at keeping moving throughout the day. The Home section is where you get an overview of your daily activity, including steps, distance moved, calories burned, and amount of sleep from the previous night. The main tracker shows you how many points you've earned from your day's activity in either a circular view or linear graph. Scroll down to see "Today's Story," which provides details on your activities, including when you were moderately or vigorously active. You can also see your progress in a weekly or monthly overview with details on how many points you've earned or hours you've slept within that time period. In the Social section, you can connect with others that also use the Misfit app to track their daily activities. Tap a person's profile to see how many activity points he or she has earned, as well as the daily and weekly record. Under the Devices section, you can enable Misfit Move, set an alarm, turn on or off the smart notifications, enable the clock and set whether it is displayed first, and find out about other apps and IoT devices you can connect to. If you download the Misfit Link app, compatible on iOS and Android, you can connect your Shine 2 via IFTTT to a number of different household gadgets and useful programs. By linking your device, you can connect such things as the Withings Body Scale, Google Drive, or Twitter. You can even link up your Shine 2 to turn on your Hue smart bulbs or toggle your Wemo switch with three taps. The Misfit Link app also lets you connect your Shine 2 to your smartphone so you can play or pause music, or activate the front-facing camera so you can quickly take a selfie. The battery life of the Misfit Shine 2 is beyond the norm. It doesn't use a rechargeable Ion-Lithium battery. Instead, it uses a coin cell battery, like traditional watches. The company boasts a six-month battery life, which is based on the average coin cell battery life. We've only had the Shine 2 for a few weeks, so we can't attest to six months, but we can confirm that with two weeks of daily use, the battery is still fully charged. The Misfit Shine 2 is a decent step up from its predecessor with added smart notifications and vibration alerts, yet the fact that the company still hasn't made the tracker secure in its band is a real disappointment. In short, the Misfit Shine 2 is still a great looking and accurate step and sleep tracker with more features at a decent price, but its propensity for detaching stops it from being an all-out success.